From the host of monochrome suits (which are mostly black) that usually throng Derby Day, a men’s suit in a larger check can prove to be a refreshing change. We recommend that you experiment with different prints and materials. Accessorize your Derby Day Spring carnival suit with a matching pocket square and finish the look with an elegant tie. The Melbourne Cup evokes supreme excitement and exhilaration among people. The Flemington Racecourse is brought to life by the hordes of people who gather to watch the jockeys race towards the finish line. A day that is known for its bold and eye-catching colours can allow your true personality to shine through. But keeping in mind to remain stylish and smart. Wearing a customized men’s suit with French cuff slightly peeking out from the blazer can be perfect for the occasion. 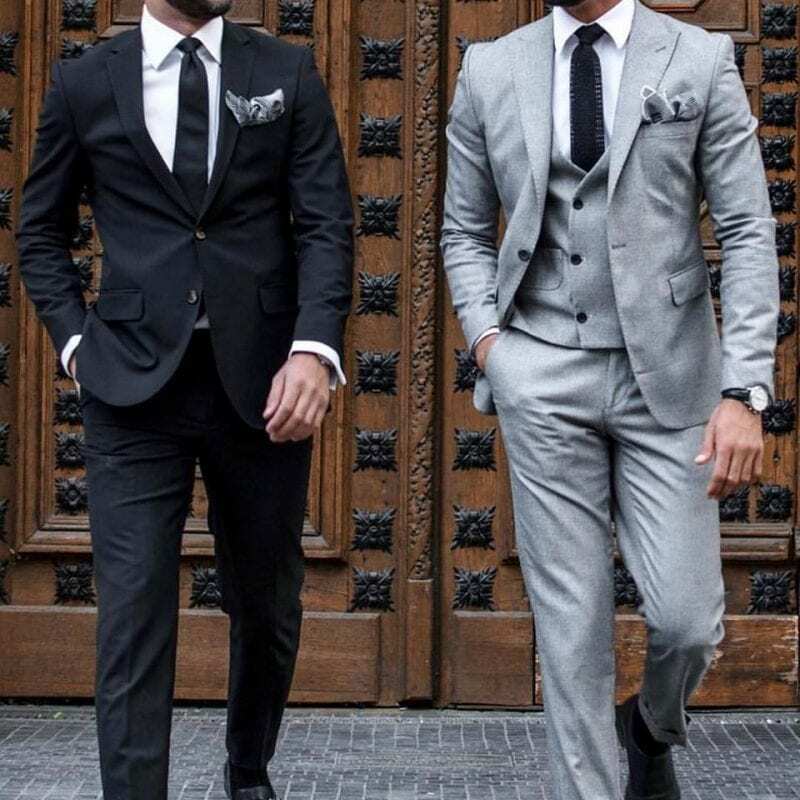 People are often in two minds when choosing between a two-piece and a three-piece suit for the day. While a two-piece suit would work well enough, a three-piece men’s suit would elevate your look to a whole new level. Also known as the Ladies Day, the Oaks Day gives you the opportunity to explore a different aspect of style and dressing. There is a certain romanticism associated with this day which is why we suggest that you pair your men’s suit with a pink, blue or white coloured shirt. Let go off your traditional, masculine sense of dressing and experiment with colours, designs and patterns considered to be more feminine. Express your creative self and come up with something that is unique, classy and contemporary. There is an air of comfort, relaxation and light fun about Stakes Day. So keeping that in mind, your Stakes Day Spring Carnival Suit should be casual yet chic. Men’s suits in light and bright shades as well as in checks and stripes can be perfect for this occasion. Briggins provide the best men’s suits in Melbourne. We can help you nail the Spring Carnival suit look with our customized offerings. Our travelling tailor can visit you at the place of your choice to complete your suit measurements. For more details, contact us at 03 8821 4168. This entry was posted in Blog and tagged Derby Day Suits, Melbourne Cup Suits, Mens Suits, Oaks Day Suits, Spring carnival suits, Stakes Day Suit, Summer Suit.